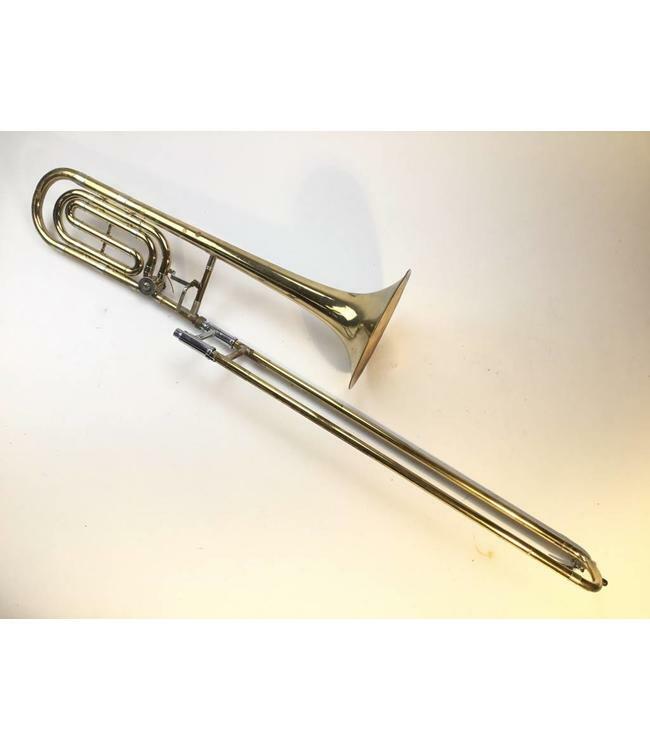 Used Blessing TR680 tenor trombone with F-attachment. .547" bore, 9" bell. Trombone is in decent condition with evidence of repair on bell section, scratches throughout, and lacquer wear to the handslide. Comes with case.